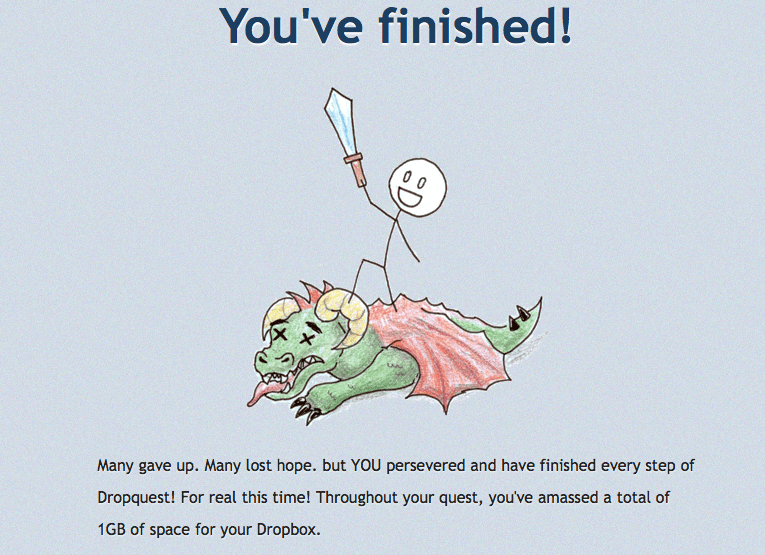 I personally love the digital storage service that is Dropbox. It allows you to store files online and sync them up with all your computers, regardless of platform, share files publicly or privately (with other dropbox users) and more. To celebrate and of course reward their users, Dropbox has started an online scavenger hunt to reward us with an additional GB of storage. For the next two weeks, you can simply hop in the quest answering questions, solve puzzles, and poking around the entire drop box site and earning additional storage for your Dropbox account. Now, one gig isn’t really that much but since free accounts get just 2GB initially, it’s a great way to boost your account and entertain yourself at the same time. You can start your DropQuest at this page.